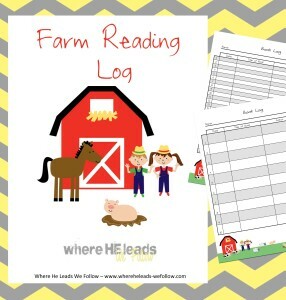 Download a free farm reading log at Where He Leads We Follow. There are two versions to choose from based on reading level. Find more free reading resources here!